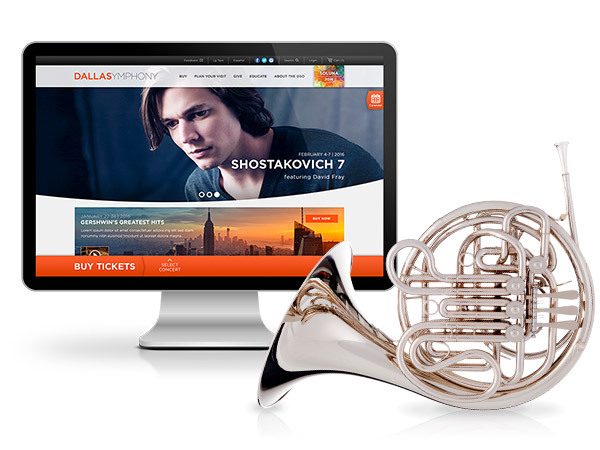 L2 Interactive is pleased to announce the recent launch of Dallas Symphony Orchestra (DSO)’s fully Tessitura integrated website, and accompanying SOLUNA International Music & Arts Festival Microsite. DSO is the largest performing arts organization in the Southwest, and reaches more than 270,000 adults and children through performances, educational programs and community outreach initiatives. To help facilitate these initiatives, L2 expanded the idea of a buy tickets and donate bar, designed a custom microsite with parallax animation, and a suite of helpful widgets for ease of use. 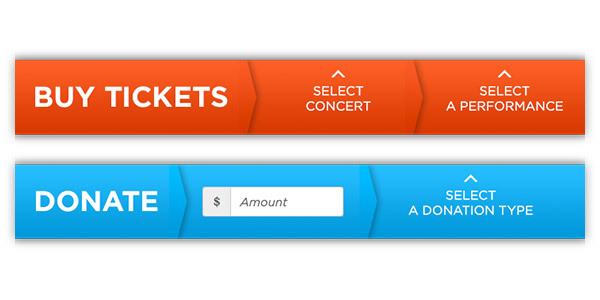 For DSO, L2 created place-able buy tickets and donation bars, giving DSO’s staff the ability to choose on a page-by-page basis where the buy tickets bar or donation bar should be displayed. Controlled on the Page level attributes in erube2, a simple toggle enables easy, on-the-fly management. Once set on a page, the buy tickets bar and donation bar contain all the options and functionality necessary for the patron to quickly add these items to their cart. 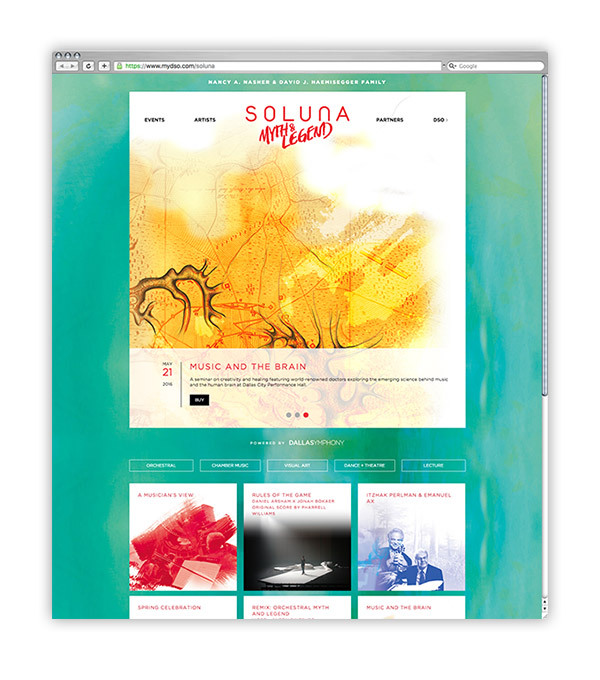 Started in the summer of 2015, the SOLUNA International Music & Arts Festival is an annual, three-week multidisciplinary event, anchored by performances from DSO. Programmed around a central theme each year, DSO needed a flexible hub for the festival that was connected, yet distinct from their main site. With this in mind, L2 developed the microsite to incorporate evergreen structures, templates, and functionality, utilizing design to communicate the changing themes. For this year’s festival, L2 incorporated parallax animation and dream-like imagery to convey the theme of Myth and Legend. To complement the buy tickets and quick donate bars, L2 equipped DSO with a suite of widgets to further enhance user experience. On the top header, users can opt to increase or decrease site-wide font size for easy reading; provide direct emailed feedback to DSO staff through a CSI; and see a rough, Spanish language translation of the site by leveraging the Google Translator API. Additionally, an expandable calendar widget provides constant access to all upcoming events, with purchase links.